This is a story about Him who takes what is broken and makes it whole. It is a story about finding the good in every situation, about choosing to believe that regardless of the situations we find ourselves in, we have a good Father. It is a story about how God showed up in power and radically changed not just one boy's life but the lives of a whole family. It is about ordinary people and an extraordinary God. This miraculous story shows us a God who cares and who gives us a good life—even when it’s not easy. Experience a new level of faith, hope, and thankfulness. Order today. Read Bill's Entire Foreword to the Book! One of the many unique aspects of Adrian's story of healing is that his doctors, who enjoyed over 10 years providing care for Adrian, were able to medically confirm his healing. His healing is medically unexplainable, but scientifically confirmed. 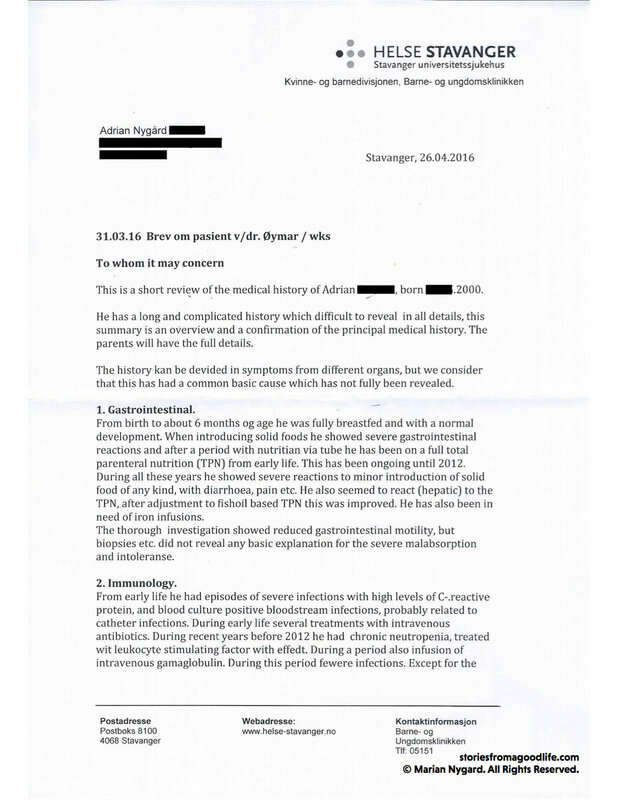 See for yourself in the doctor's report, translated from Norwegian.